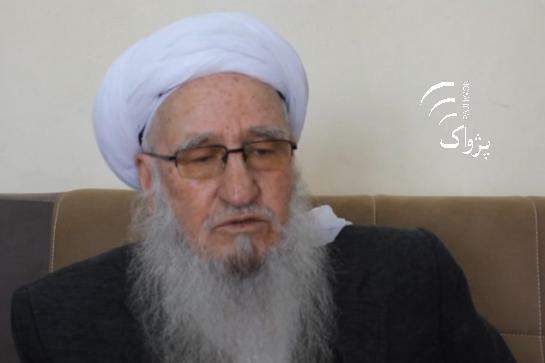 HERAT CITY (Pajhwok): The Ulema Council for the western zone believes the only way to steer Afghanistan out of its long running conflict is intra-Afghan dialogue, saying the war-torn nation would not reach prosperity and development without peace. Maulvi Khudadad Saleh, head of Ulema Council for the western zone, on Monday said peace should prevail in the entire country and asked the warring sides to seek the path of peace by shunning war without engaging foreigners in the process. He said the Afghans were thirsty for peace more than anything else and they no longer had the ability to bear the bloodshed of their countrymen, therefore peace should be a priority for all the warring sides. “Fratricide should end in Afghanistan and we want the warring sides to join hands and make peace, they should not relay on foreigners for peace,” he said. “The blood stream is flowing in Afghanistan for the last four decades, Afghans are killed by Afghans on orders of foreigners, I want the warring sides to shun their opposition and open their arms of kindness and accept each other because we have no other way than unity, we should help each other and talk peace,” Saleh said. Meanwhile, political experts say the opportunity available for peace now is the best time for a permanent stability in Afghanistan and stress the government should take advantage of the public consensus. On the other hand, Shoaib Khan Fahim, a military expert in Herat, believes that the strengthening Afghan forces could pressure the Taliban to join the peace process. “Afghan forces should show more power on the battlefield against Taliban than any time before so it would send a message to the Taliban that they cannot win militarily and will force them to come to the negotiation table,” he said. A number of other residents of Herat also supported the peace efforts and asked Taliban leaders to negotiate with the Afghan government. The Afghan government is organize Consultative Loya Jirga for peace which would be attended by around 2,500 people representing their regions from across the country on April 29.